This image shows the central part of the dune field on the floor of Russell Crater. Russell Crater is located in Noachis Terra. 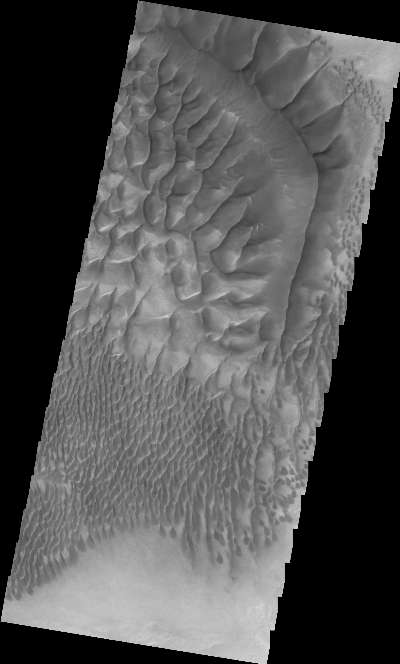 A spectacular dune ridge and other dune forms on the crater floor have caused extensive imaging.